First up we have a game that I didn't think was going to see the light of day for a while there. Gigantic my Motiga (and now published by Perfect World) had a well documented and troubled development, with the studio virtually shutting down before they were done. Somehow though they rescued the project through their deal with Perfect World and the latest hero brawler / shooter is now upon us. 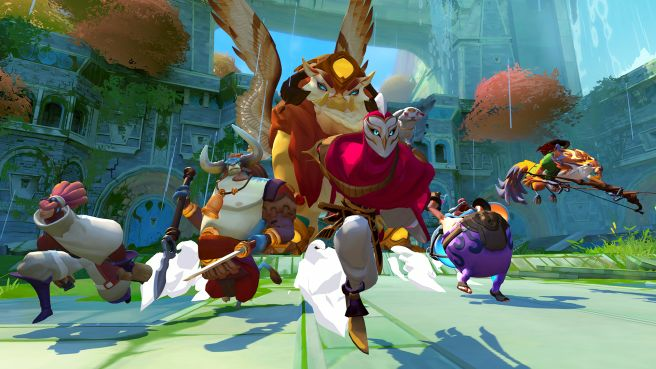 I'd been excited for Gigantic when I first played it at Trade shows a few years back, so I'm happy to report that the final game has managed to make a great first impression. On the surface it's a first person League of Legends style lane brawler, but has the added twist of the 'gigantic' guardians of the title. These are great beasts that you as the heroes are protecting from the opposing team, and using to launch assaults on your opponents guardian. it's a neat twist that helps the game flow in interesting ways. It's got a cool stylized aesthetic, and the visual communication on screen is damned good considering the format. They do a good job of keeping you focused on the right parts of the fight. 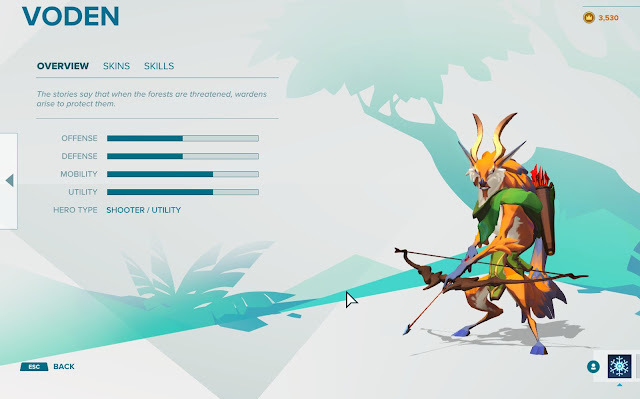 I am having a lot of fun with it so far, in particular with the ranged healer / damage hybrid Voden. The game is free to play, but I happily put down for one of the starter packs to help celebrate that this game made it to market at all! Next up we have an almost insanely simple concept that is so well realized I just had to include it. 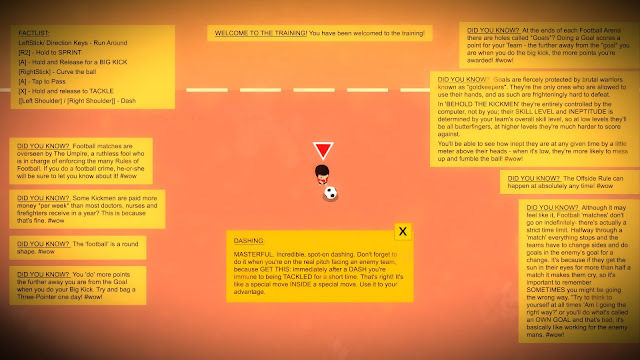 Behold the Kickmen is the most eccentrically English game you are every likely to download and play. It is an 'anti-football' game that somehow manages to capture all the fun of a sport, while being caustically sarcastic about your love of a game, and delightfully irreverent about the rules of the game. It's like the Monty Python crew got together and made a football game. It is also ridiculously fun and immediate. There are some neat little design decisions in there that make the game way more compelling than it might have been. 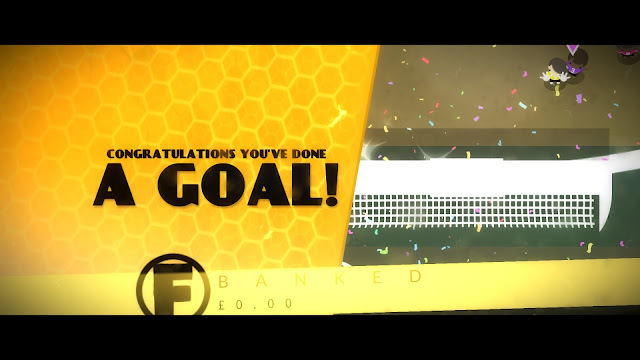 'Goals' are not all equal, some count double if scored from far enough out, and there is an earning system where you get more cash prizes for 'better' goals that took longer or involved more touches, so the game actively encourages you to experiment. 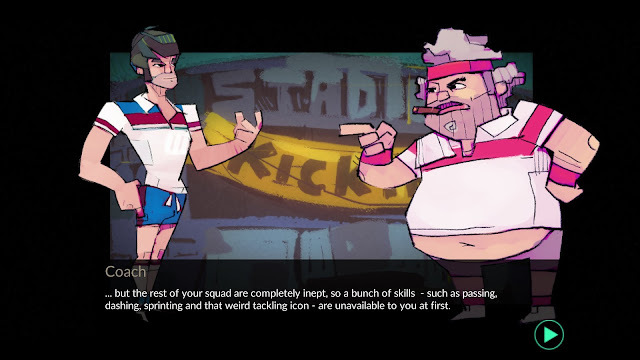 Sure, it may not have the tactical depth of an actual football sim, but it has a fun core game-play loop, and a very old school arcade feel to things. You even get a firmly tongue in check team management and building section. It may just be largely about boosting stats and collecting new abilities, but it is presented with a playful style that can't help but raise a smile. It's also cheap, less than $5 on Steam, that's less than your Starbucks or a beer. It's worth way more than that, so it is an easy one to recommend for any football fan out there who doesn't want to take themselves too seriously.